Critters are baaaaaaack, so time for more creepy crawler posts! 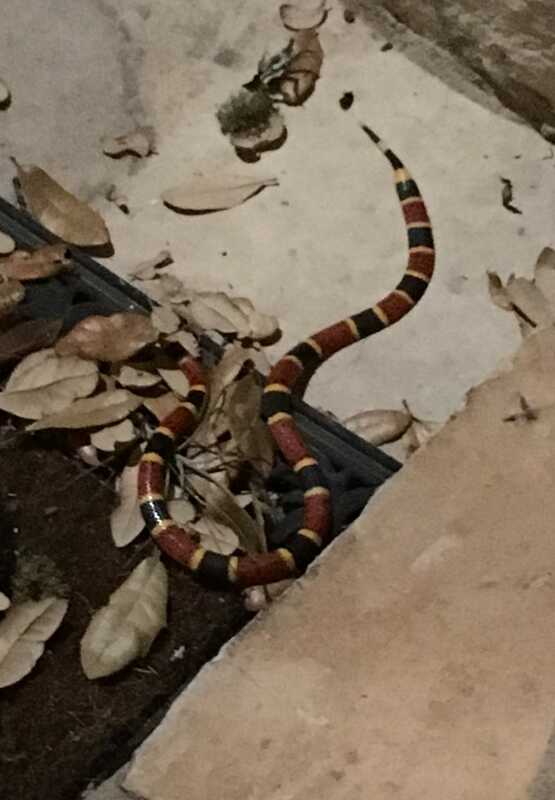 My neighbor just called in hysterics that there was a coral snake on her front porch, and, because her husband was at work, my assistance was required. I went over ready for battle, but it was just a little guy. His head was removed pretty quickly with a root cutter. Unfortunately, little snakes usually means bigger snakes are around and I don’t want to find a mama coral snake in my yard. Looks like I’ll be spending tomorrow tuning up the weed eater and cutting back the overgrown yard. Or at least that’s what I’ll tell my family... really I just like playing with my two-stoke toys.